Yamaha's overseeing chief Lin Jarvis was philosophical while examining the preparation episode which has discounted Valentino Rossi of two MotoGP races, expressing "it's difficult to say" regardless of whether the Italian will reconsider his preparation techniques from here. 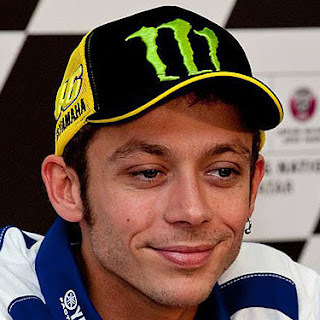 Rossi endured breaks to the two his correct fibula and tibia when riding an enduro bicycle the week prior to his home fabulous prix at Misano, deciding him out of that end of the week's activity, and also the up and coming race at Aragon, and everything except completion his journey for a tenth world title all the while. And while Jarvis voiced doubts as to whether training with enduro bikes was the best form of preparation for a MotoGP race, he accepts that other types of training – mini-bikes, dirtbikes, motocross – all contain risks. “You can’t wrap up motorcycle racers in cotton wool,” he said. Earlier in the year, Rossi hinted his days training with motocross machinery were over when a crash caused abdominal abrasions just days before the Italian Grand Prix at Mugello. Asked whether he expects his rider to further alter his training methods in light of this latest incident, Jarvis said, “Do I really know tangible facts from a tangible discussion? No. Obviously I visited him in hospital last week on Friday and I asked him, ‘Why? Why? Why?’ And he said, ‘This can happen.’ And that’s the reality. 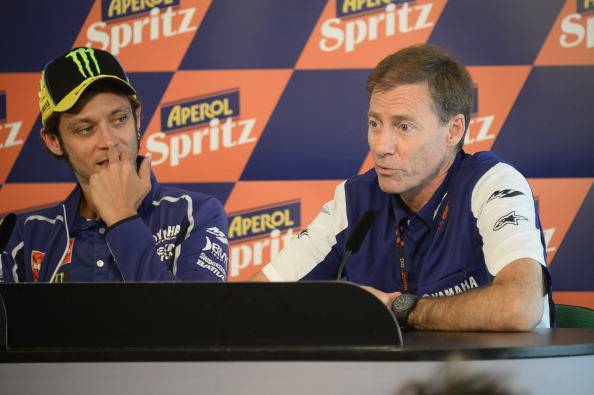 “Obviously this year he’s had two incidents prior to GPs – one before Mugello and one before Misano. At Mugello it was a much more serious crash. It was a high speed crash landing from a big jump in motocross, where he hurt himself really badly. This crash was a relatively simple, small enduro crash. “But the problem is very often – and anyone that rides enduro will know – that many times a crash in enduro is at 0kph but you’re in a situation where you put your leg out and you crash, or you break a collarbone or break your wrist or break your knee. So it’s difficult to say. Discussing his thoughts on riders’ training methods further, Jarvis added, “It's very difficult for me to criticise him for crashing in enduro, because of personal circumstances! But seriously, I've always believed you can't wrap up motorcycle racers in cotton wool because it's the nature of the beast and motorcycles per se, sooner or later you will fall off. It's just the way that it is. “So what do you do? They can't test riding a MotoGP bike. They can't test on regular race tracks really. So they have to use alternative training methods and the common denominator these days is most of them ride the dirt. “I think that riding on the ranch is different than riding enduro and I think motocross is different again. Riding on a circuit anyway is more predictable, riding enduro there is always the unpredictable moment. The element of surprise. “Because if you ride enduro, you do huge distance and you probably only do each part once in a day. You never know what you are going to find. So I don't think enduro is the best training, personally, for riding MotoGP.